A new Australian gridiron competition believes it could compete with the NFL for draft prospects’ signatures in five years. 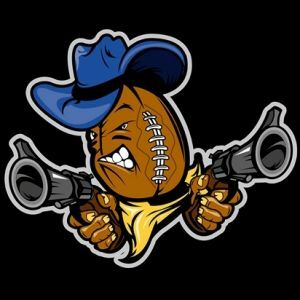 The National Gridiron League (NGL) bills itself as a fully professional domestic league and this month unveiled the Brisbane Outlaws as its first team ahead of an August 2016 kick off. 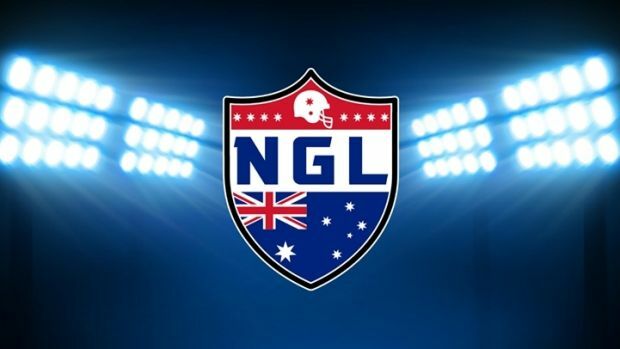 The NGL has an ambitious agenda, aiming to launch a nine-team competition next year with South-East Queensland teams in Brisbane, Gold Coast, Logan City and the Sunshine Coast, two Sydney sides, and one each from Wollongong, Newcastle, Canberra and Perth. Teams will have a minimum of 10 Australian players on their rosters, with the rest likely to be international imports. NGL managing partner Marcin Soluch said the league was targeting former NFL and top level college football players in its recruitment strategy. “We will be competing directly with the CFL (Canadian Football League) and NFL for market share, there’s no doubt about that,” he said. “Within five years we are very confident we will be making a splash and trying to pinch some draft players. On its website, the NGL has online player applications stating its preferred level of applicants would be those from the top level of college football or with some sort of professional football experience. While no recruits have been announced, a footballer from Division Two college University of West Georgia, Giovanni Vitulli, identifies himslf as an NGL player on Twitter. Currently, many of these players play in the CFL, in Europe, or bide their time in second-tier American leagues but Soluch believs the NGL has the resources and the lure to attract more players, organising flights, accommodation and visas. “What attracts players to Australia is that it’s an eight month football holiday,”he said. Soluch said players would likely be paid in the ball park of $50,000 -$200,000 for their services in the league, which would put it in the same bracket as the CFL in terms of earning potential. The NFL’s base rookie salary is $435,000 US. Soluch claimed the league wouldn’t run into the problems of other national sporting leagues. Funded by a private hedge fund that Soluch and corporate partners established a decade ago, he said they would shun traditional revenue investment streams. “The league doesn’t derive its operational revenue from football operation. ” Football operations will not sustain the actual league purely because that can go up that can go down. “The league does operate its own separate business entity which funds the league. Soluch admitted the NGL was expecting small crowds, estimating an average of 5,000 and would take a “wait and see” approach as to their developments as the league launch comes closer. NGL games will be streamed online and Soluch said he was confident of securing a free-to-air televsion deal. The NGL is not affiliated with any of the current officiating bodies in Australia or internationally, which Soluch said was a deliberate decision due to the transient nature of volunteer committee style organisations. Cody Field is a member of the Gridiron Australia board and ran the current major amateur domestic league, the Australian Gridiron League last season. Field said he hoped the NGL would get off the ground but without any affiliation, it could undermine the survival of the amateur leagues. “I’d love to see a professional competition start but unless they have some tie to our national amateur competition, they’re competitor for players, sponsorship in every single way they’re a competitor,” he said. “Realistically, a lot of the guys coming out of college are in Europe and I don’t think the guys they’re targeting are going to come. “I would have to think the model they’re talking about ex-NFL players and coaches and things like that. Gridiron Queensland president Richard Gill said it was hard to see how viable the league would be. “The NGL isn’t the first organisation to start up like this,”he said. “They come on to Facebook and make all these statements and players in domestic competitions say ,’why aren’t we already doing this?’ without any grasp of what’s involved. The NGL isn’t the only competition aspiring to create a professional league. Another league called the Downunder Football League also espouses itself as a potentially professional Australian league. Gill mentioned previous competitions that have crumbled such as the Legends Football League..
Gill said Soluch had approached them when the project was first launched about affiliation. Soluch has previously coached local gridiron sides, including the Sunshine Coast Spartans. Gridiron Australia chairman, Darrin Mitchell, said the organisation had not had any formal approach from the NGL to partner up but would be open to the possibility of working with them. This post originally appeared on Sydney Morning Herald. Copyright 2015.